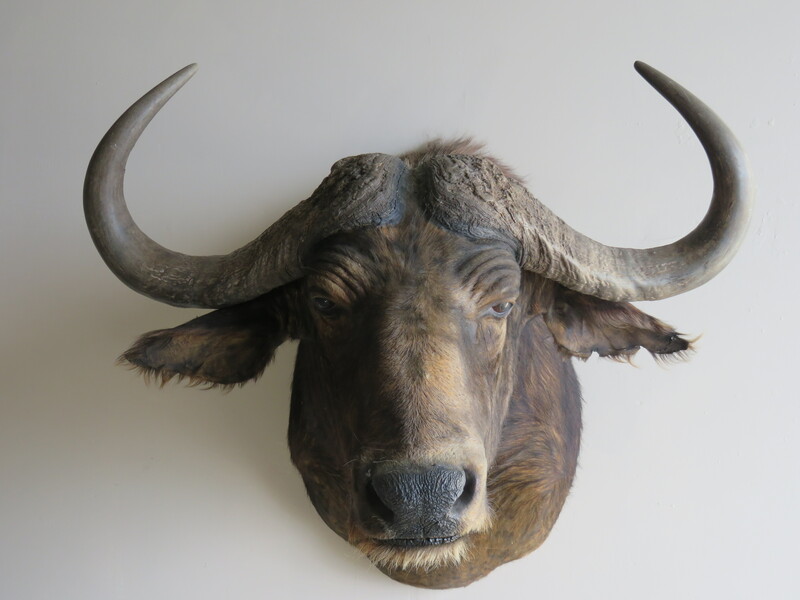 This is a great shoulder mount of an African Cape Buffalo. 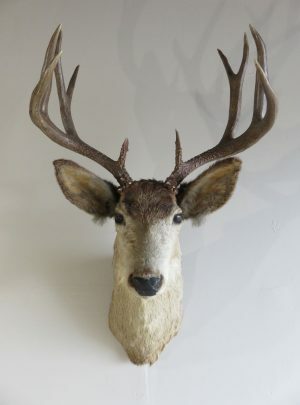 A beautiful mount that is posed head forward and looking slightly to his left. 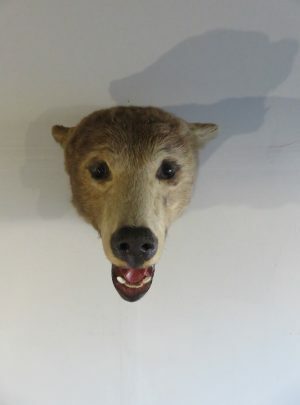 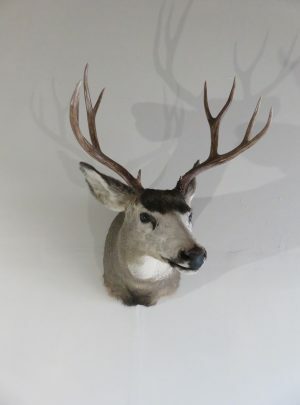 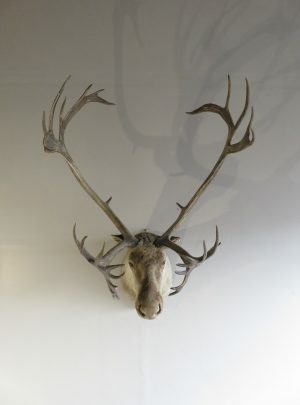 This is a great mount that we were able to acquire as part of a lot. 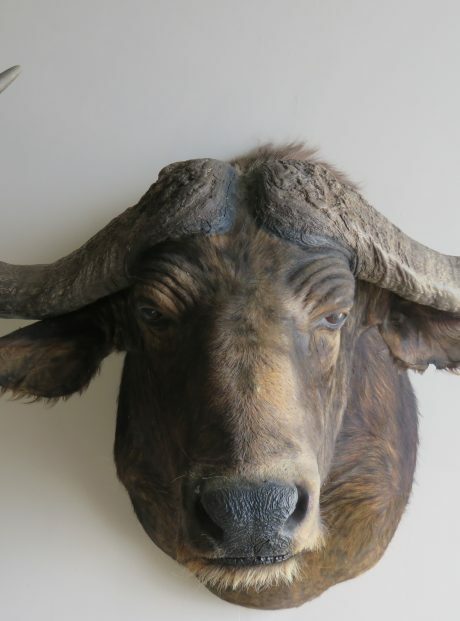 The original owner (and hunter) was a game biologist and worked for the FWP. 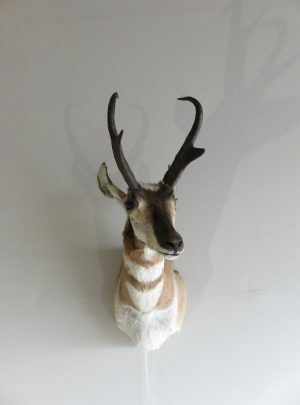 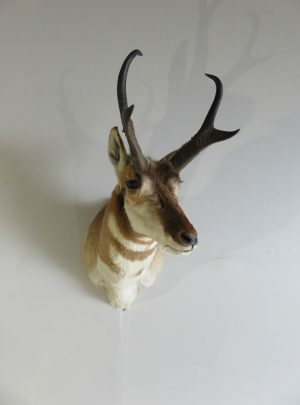 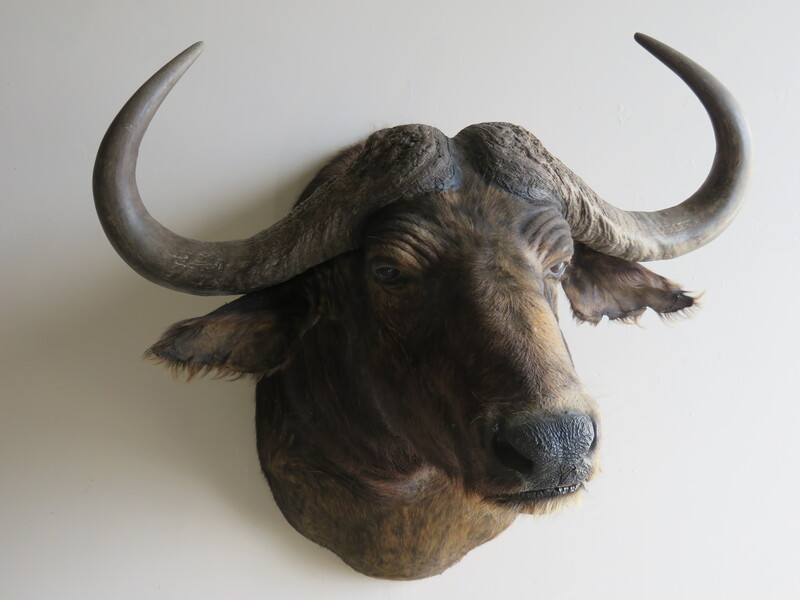 I was able to get this mount along with several other African mounts as well as some North American game species. The horns on this mount measure 39 2/8″ inches on the outsides and have a measurement of 25 2/8″ between the tips. 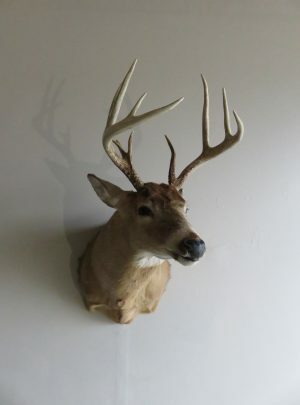 Overall mount dimensions are 43″ deep x 40″ wide x 44″ high. 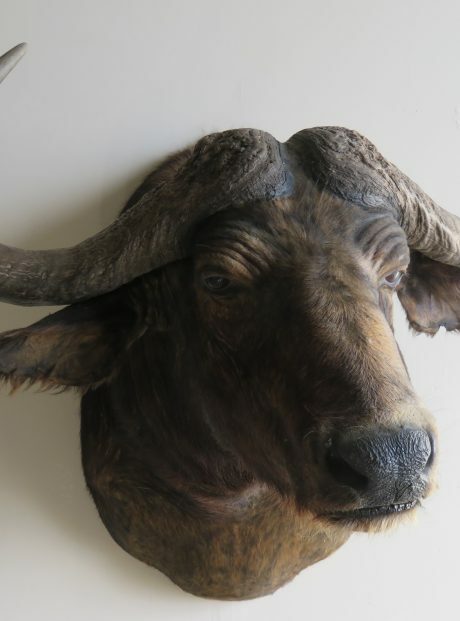 You will need to allow a good amount of wall space for him to be adequately displayed and appreciated! 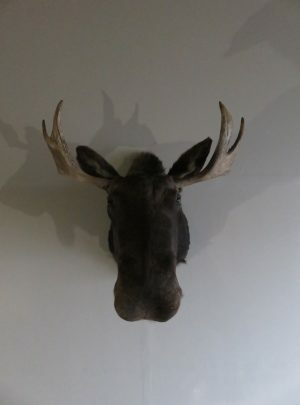 He hangs on a single well anchored screw. 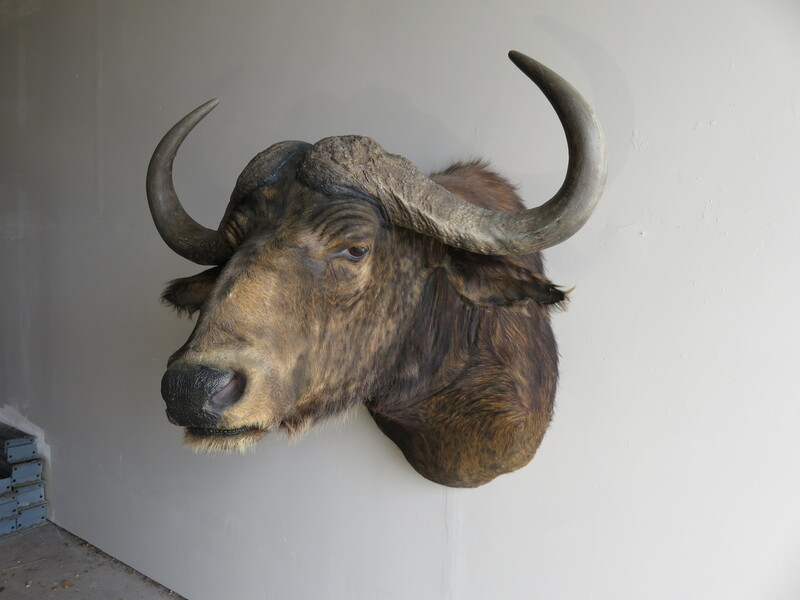 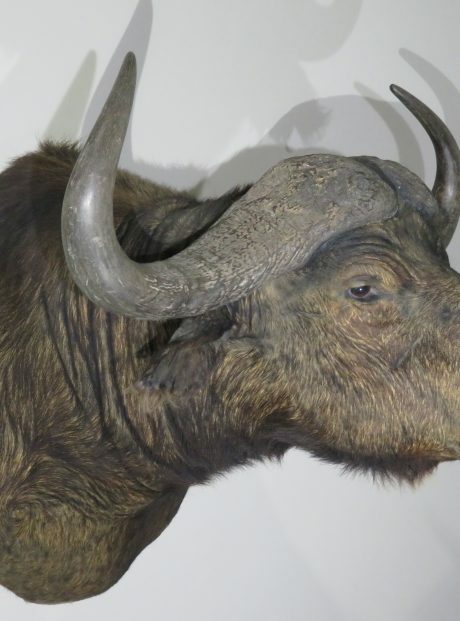 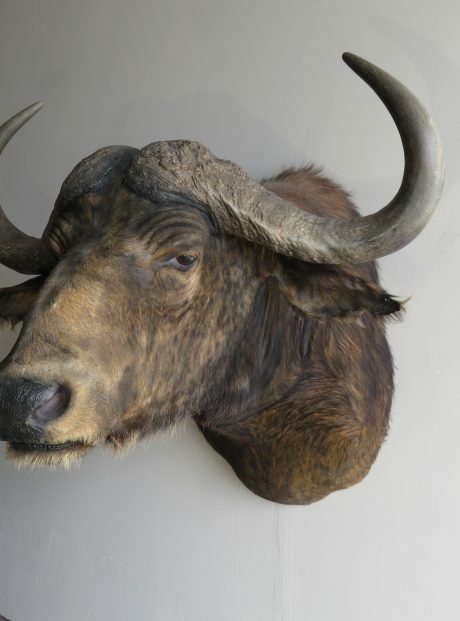 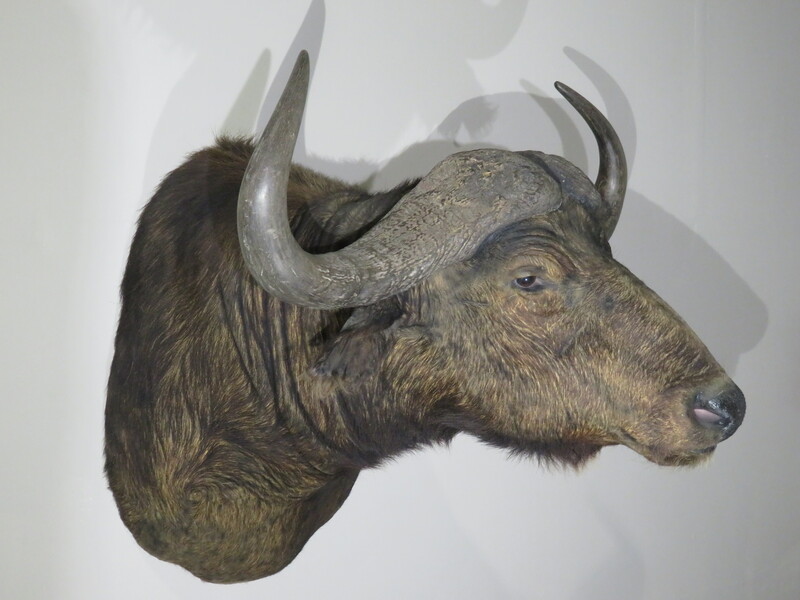 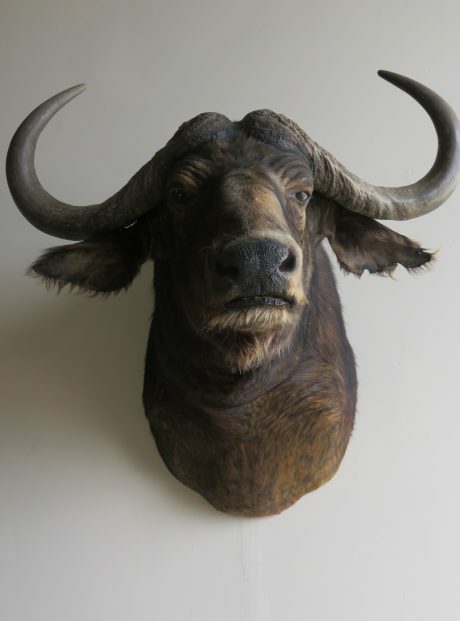 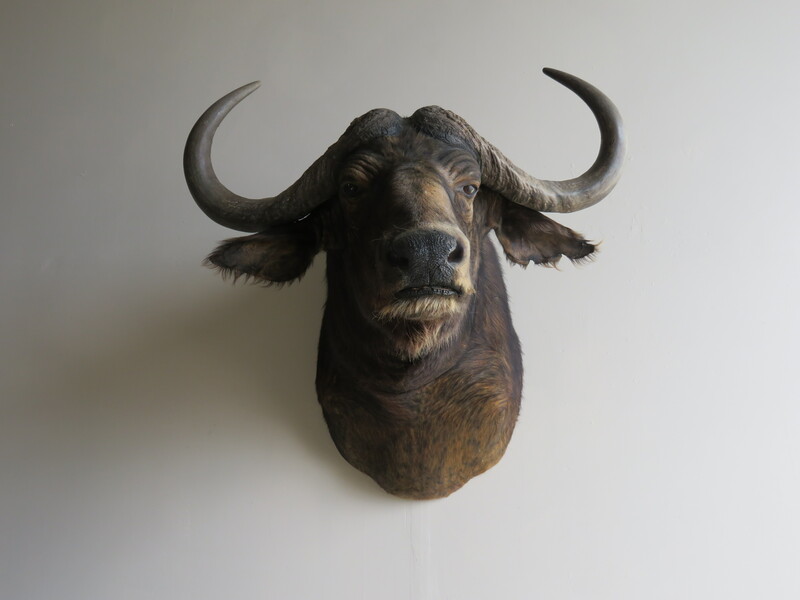 Cape Buffalo make extraordinary mounts and can compliment a collection of large game species or as a stand alone mount that will add immediate appreciation to the home, lodge or business… We love the size of this bull and his horn mass. 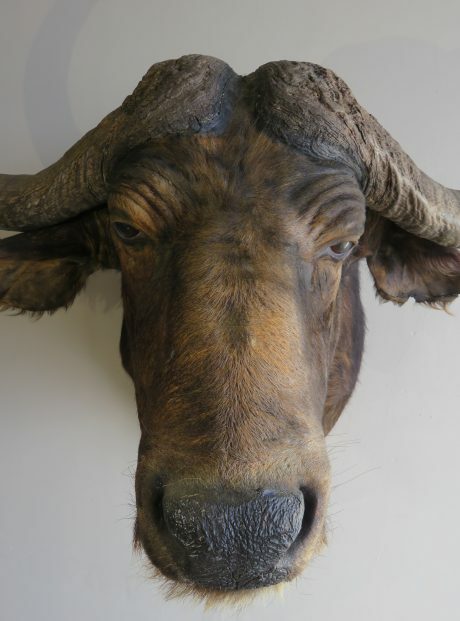 Because of this and the pose and workmanship of the mount, we award him a rating of “Excellent”.